Glass artists may make beads by flameworking glass. Once formed, the beads undergo little or no further shaping after the layers have been properly cooled. 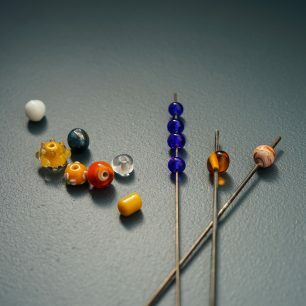 Beads are among the very earliest glass objects made by humans.